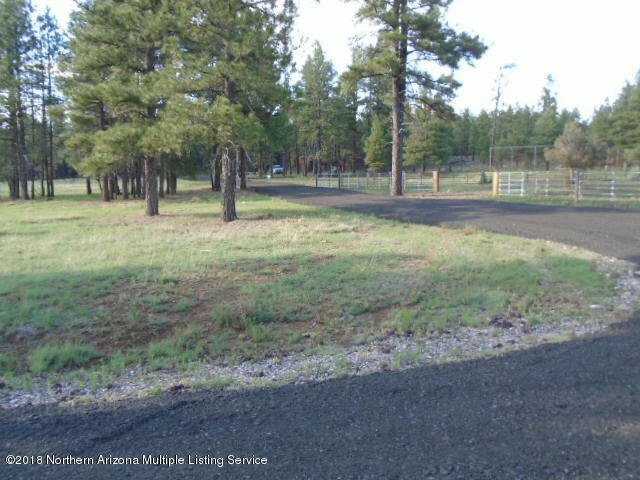 Enjoy the cool tall Ponderosa pines on this heavily treed 3.3 ac with Forest Service on both the Northern and Eastern lot lines. Easy access from I-17 with less than a mile to this amazing lot that has a 12x16 Dutch Barn style shed with a loft to get right out and enjoy the lot. There are a few great locations for that cabin in the woods with water and power to the lot line. Tennis anyone??? Super views over your tennis court to the meadow beyond. Seller will carry with 20% down @ 10.0% interest amortized over 10 years with a balloon due in 5 years.